The final event of the PGA Tour season is upon us as the last stage of the Fedex Cup Playoffs starts on Thursday in Georgia as the top 30 players in the Fedex Cup standings all tee it up at East Lake Golf Club. Since the introduction of the Fedex Cup the big names have dominated this event with four of the last seven winners ranked inside the top ten of the official world golf rankings the week before their victory. Last years winner of the Tour Championship was Henrik Stenson who has failed to win this year after producing some brilliant golf towards the end of last season, the Swede has failed to make the final stage of the Fedex Cup playoffs after a 23rd place finish last week. Billy Horschel moved up into 2nd place in the Fedex Cup standings after he won the BMW Championship last week by two shots after a brilliant third round of 63, fellow American Chris Kirk remains top of the Fedex Cup standings. East Lake Golf Course opened 110 years ago and was redesigned by Donald Ross in 1913 whose layout remains today. It hosted the Ryder Cup in 1963 which the USA won with ease and since then it has hosted the Tour Championship on twelve occasions from 1998 to present. 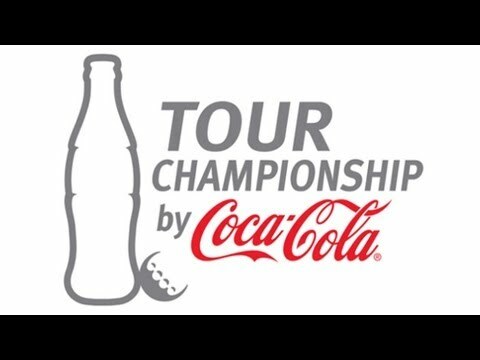 In 2005 the Donald Ross designed course was named the permanent home of Tour Championship which is the final event of the PGA Tour season. East Lake is a par 70 that will play a testing 7307 yards this year. Last year Henrik Stenson shot 13 under par around this course to win the event by three shots. Tiger Woods holds the tournament record after he shot 23 under in 2007 to win the Tour Championship by eight shots, the course underwent renovations in 2008 after Tiger made the course look far too easy. Total driving is a key statistic this week in my opinion, as you can see from last years results those that drove the ball well were near the top of the leaderboard on Sunday evening. It won’t surprise any of you that Rory McIlroy is once again the favourite to win this week at a price of 7/2. If Rory is to win this week he will win the Fedex Cup and the huge sum of $10million (like he needs it). Second in the betting is Adam Scott at 11/1, the Australian has finished inside the top twenty in each of his last nine events after an 8th place finish last week, a good week with the putter and Adam will surely be in contention on Sunday. Finally 25 year old Rickie Fowler is among the favourites in this small field after he recorded his 6th top ten finish in his last seven events last week, a win is surely not far away from the American. Rory McIlroy – It’s hard to ignore Rory McIlroy’s form of late, he’s been playing some brilliant golf and is undoubtedly the best player in the world. McIlroy has won The Open Championship, the WGC Bridgestone Invitational and finally the PGA Championship in the last couple of months which shows he is more than capable of winning. Last week Rory finished 8th in the BMW Championship despite four putting on two occasions, he is bound to improve on last weeks performance. In 2012 McIlroy finished 10th around this track despite shooting four over par in the final round. This shows the young Northern Irishman has what it takes to perform well around East Lake Golf Course. John Senden – I am keeping faith with John Senden this week after I backed the Aussie in the BMW Championship where Senden finished in 23rd position. John played well last week hitting 72.22% of greens in regulation which shows he is playing well from tee to green. He won the Valspar Championship earlier this year after an impressive third round of 64, this shows what he is capable of producing when at the top of his game. East Lake Golf Course should certainly suit his game, it requires accuracy and distance off the tee which Senden has. John is ranked 94th on the PGA Tour in terms of driving distance and 45th in terms of driving accuracy which should be ideal.